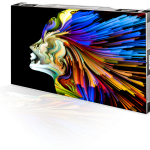 ATLANTA, GA – May 25, 2018 – Digital Projection International (DPI), A manufacturer of high-performance DLP™ projectors and fine-pitch LED video walls adds Color Boost+ technology to two brand new models in their single-chip, laser illuminated Vision Series. The E-Vision 13000 WU and M-Vision 21000 WU employ DP’s Color Boost+ which adds direct-red lasers to the existing blue lasers to achieve higher brightness and vastly improved color performance. Both the M-Vision 21000 WU & E-Vision 13000 WU deliver WUXGA (1920 x 1200) native resolution. Producing 20,000 lumens, the M-Vision 21000 WU tops the market in single-chip brightness, which was previously held by DP’s own M-Vision LASER 18K. Suitable for large auditoriums, worship spaces, higher-ed, staging, and other large format applications, the M-Vision 21000 WU provides class leading brightness and incredible color performance. 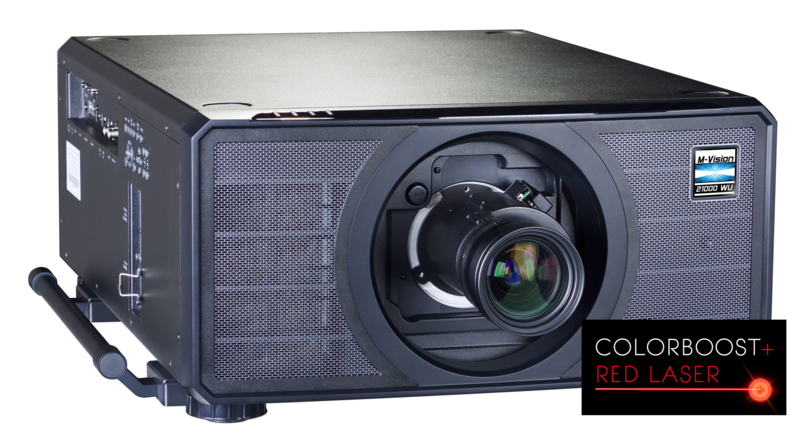 With sealed light engines, high dependability and near zero maintenance inherent in their design, all Digital Projection LASER projectors provide the lowest cost of ownership, benefitting from the laser illumination system’s extensive 20,000+ hour life-span. With no lamps to replace or expensive maintenance costs to endure, end-users and stagers save significant money over time and never need to worry about the possibility of lamp aging or failure. Beyond their low cost of ownership and superb dependability, DP’s LASER projectors can be oriented in any position for unsurpassed installation flexibility. 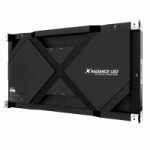 This allows customers to place rich, enormous-scale imagery in practically any venue and on any projection surface, without sacrificing projector performance, reliability or image quality. A multitude of high-performance lenses and state of the art digital inputs assure the M-Vision 21000 WU and E-Vision 13000 WU serve as powerful and flexible imaging tools for venues requiring incredibly bright and color-rich display solutions.